Take Action To Improve Public Understanding of Nursing! What can you do to shape a better image of nursing? 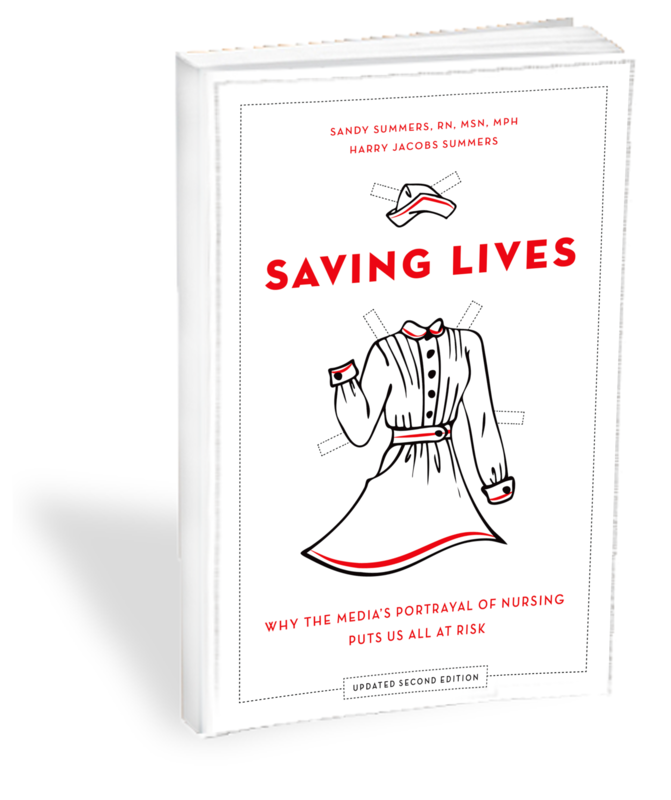 In Saving Lives, the book by our leaders Sandy and Harry Summers, there is an extensive plan laid out in the last two chapters which maps out how nurses can change how the world thinks about them. But the plan is not limited only to nurses, one of the chapters is directed at non-nurses, who can do much to change how the world thinks about nursing. This is a necessary step to ending the crippling global nursing shortage. Everyone has their own abilities and interests. So we have broken down the suggested actions into categories. Please select the description that best fits your background and consider what you can do to help us repair the image of nursing. Thank you. Speaking engagements. Please invite Sandy Summers to give a speaking engagement at your next event. Other ideas? Please email us your suggestions.